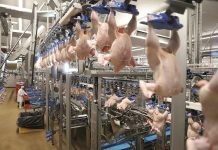 The recent H5N6 bird flu outbreak is confined to the south of England, partly due to the introduction of an Avian Influenza Protection Zone in England and Wales including strict biosecurity measures for affected bird keepers. Bird flu, or avian influenza, is caused by a virus that specifically infects birds and causes similar symptoms to those we experience when infected with flu. These include coughing, sneezing, high temperature and loss of appetite. Infected birds can also have diarrhoea, lay fewer eggs and, in the case of highly pathogenic avian influenza strains, such as H5N6, death. 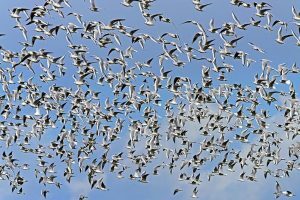 Highly pathogenic strains are of particular concern because they can be carried vast distances by wild migratory birds, and can infect domestic poultry through direct contact or through contaminated droppings. The biosecurity precautions introduced with the Avian Influenza Protection Zone, such as minimising flock movement and separating them from wildlife and wild waterfowl, are therefore essential for preventing the continued spread of disease. 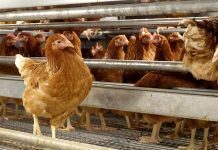 Although biosecurity is vital for the protection of UK birds, improved methods for the prevention and control of bird flu are still desperately needed if we are to reduce the impact of future outbreaks. There are several research groups at The Pirbright Institute that are employing a range of approaches to understand, prevent, detect and control flu viruses including developing new vaccines and diagnostics. 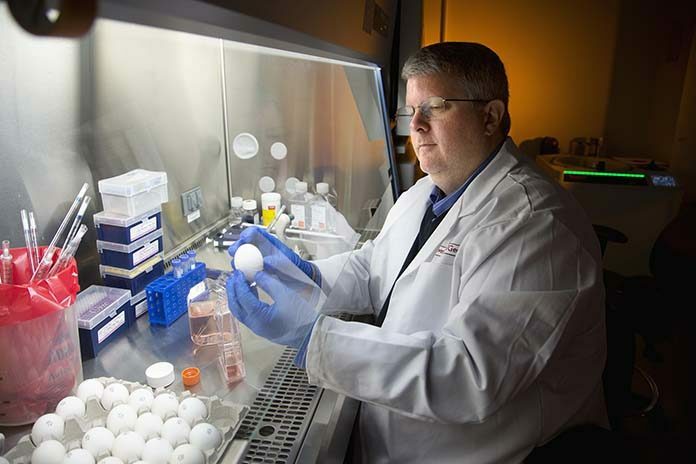 The Avian Influenza Viruses and the Influenza Viruses groups undertake fundamental research to investigate how the flu virus strains evolve, adapt, infect, persist and overcome vaccine immunity in poultry. Understanding these characteristics can help to identify which strains of flu could potentially cause future pandemics, recognise new targets for vaccines and have also aided in the development of pen-side tests that can detect flu quickly and effectively. Scientists in the Avian Immunology group are also working hard to understand how the chicken immune system reacts to infection and vaccination and have recently discovered a new type of chicken immune cell that responds rapidly to influenza. Work is underway to harness these cells in vaccination strategies. 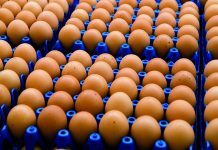 Many vaccines against viruses, including the flu, are produced in eggs. 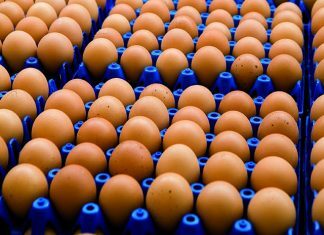 Researchers in the Genetic and Genomics group are therefore examining ways to improve vaccine production by identifying those genes that prevent vaccine viruses replicating in eggs. By using genetic engineering to switch these genes off the number of vaccines doses increases since the vaccines viruses can replicate faster.